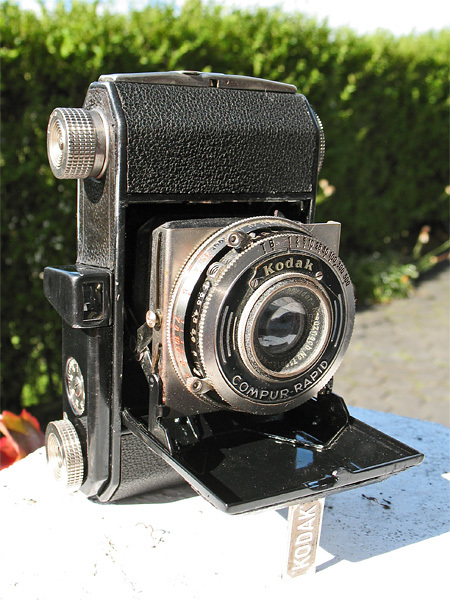 Manufactured from 1936 to 1938, this model was offered at the same time as the type 126 model, and was the same camera except for the black lacquer finish, and the nickel plating of the bright parts. Usually fitted with a Schneider Xenar 5cm f/3.5 lens like my one, but also available with Zeiss Tessar. 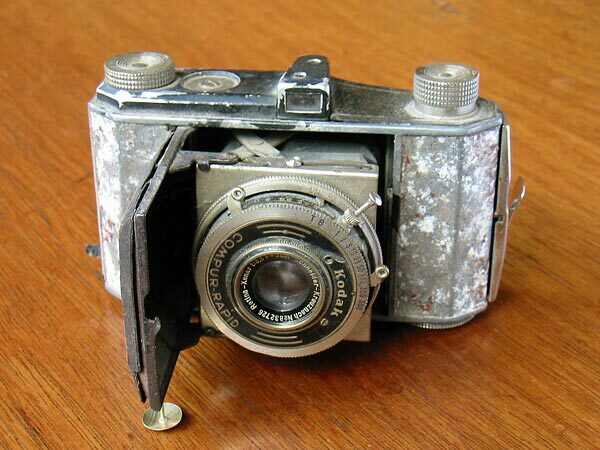 The shutter is either a Compur or a Compur-Rapid. Fortunately, not many are as ugly as this example. I'm planning on restoring it sometime over the next year or three.